Stock up and save on cameras at Wedding Channel Store -- ALL are on sale! 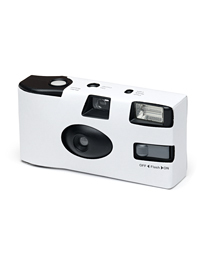 Guests will love capturing candid moments with the Wedding Camera - White, now only $1.99. Offer expires Sunday, April 12th. Plus, this weekend only, find great deals on reception essentials, including ALL fans, bubble tubes, and our top favor holders and decorations. Click here!